People these days like never before are taking lifestyle more seriously in their lives. As the trend is getting popular lots of yoga and fitness studios pops up in the city to meet the fitness goals of their clients. But without a systematic approach in taking up appointments and conducting classes in time can affect your business. Using a best yoga and fitness center software is imperative for the smooth execution and also vastly improve business potential, give a major boost to the sales and profitability. Create a Free Account MioSalon is an easy appointment scheduling and billing software for salons & spas. 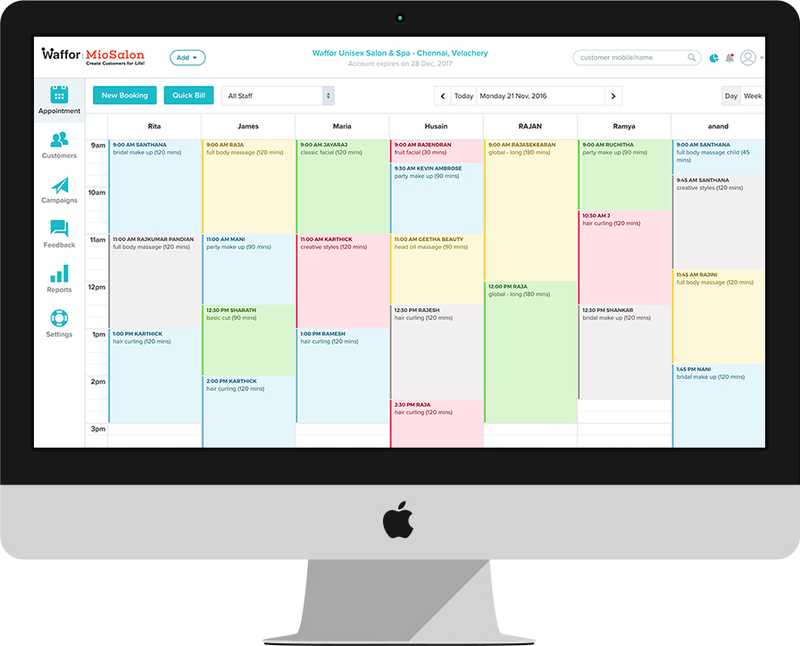 With MioSalon, you can handle all your scheduling in one screen; Easily edit, re-schedule or cancel appointments in no time. Easy and flexible billing with automatic offer/discount redemptions for memberships, promotional offers and other loyalty programs. An ultimate customer engagement centric marketing platform for bringing customers more often to your salon or spa. Analyse reports on recent sales, upcoming appointments, top services, employee performance and more reports in one place.